Forecasting future fire activity as a function of climate change is a step towards understanding the future state of the western mixedwood boreal ecosystem. 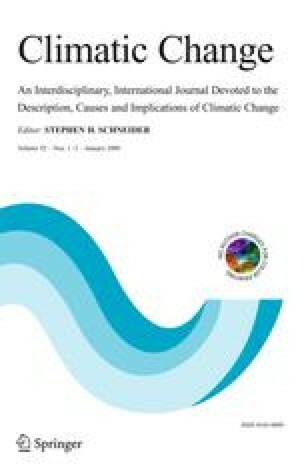 We developed five annual weather indices based on the Daily Severity Rating (DSR) of the Canadian Forest Fire Weather Index System and estimated their relationship with annual, empirical counts of lightning fire initiation for 588 landscapes in the mixedwood boreal forest in central-eastern Alberta, Canada from data collected between 1983 and 2001 using zero-inflated negative binomial regression models. Two indices contributed to a parsimonious model of initiation; these were Seasonal Severity Rating (SSR), and DSR-sequence count. We used parameter estimates from this model to predict lightning fire initiation under weather conditions predicted in 1 × CO2 (1975–1985), 2 × CO2 (2040–2049) and 3 × CO2 (2080–2089) conditions simulated by the Canadian Regional Climate Model (CRCM). We combined predicted initiation rates for these conditions with existing empirical estimates of the number of fire initiations that grow to be large fires (fire escapes) and the fire size distribution for the region, to predict the annual area burned by lightning-caused fires in each of the three climate conditions. We illustrated a 1.5-fold and 1.8-fold increase of lightning fire initiation by 2040–2049 and 2080–2089 relative to 1975–1985 conditions due to changes in fire weather predicted by the CRCM; these increases were calculated independent of changes in lightning activity. Our simulations suggested that weather-mediated increases in initiation frequency could correspond to a substantial increase in future area burned with 1.9-fold and 2.6-fold increases in area burned in 2040–2049 and 2080–2089 relative to 1975–1985 conditions, respectively. We did not include any biotic effects in these estimates, though future patterns of initiation and fire growth will be regulated not only by weather, but also by vegetation and fire management.